It's Beer O'Clock: OUT OF OFFICE: TOWNSVILLE BREWING CO.
For the last couple of weeks I've been flat out organizing our company's push into far north Queensland. 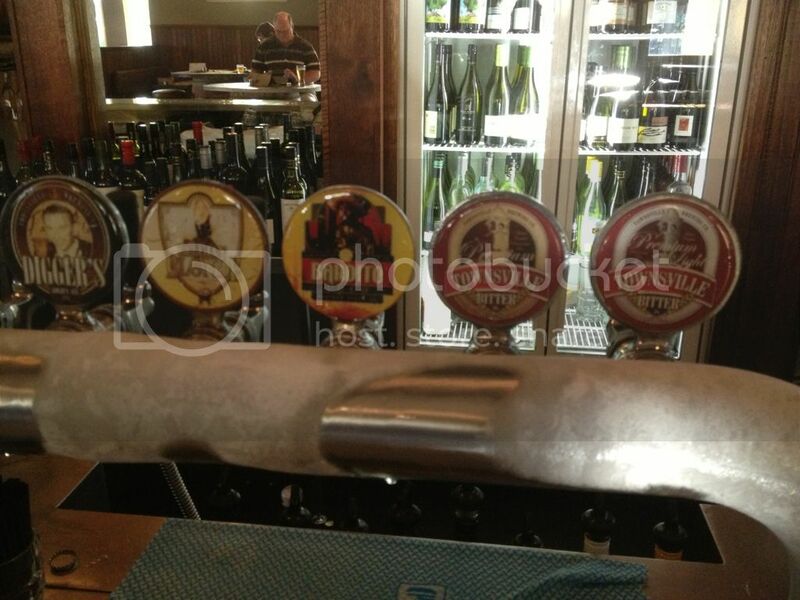 It was an incredibly hectic week up there but I did manage to find time to pop into The Brewery in Townsville. Thankfully I did as I had a really good time and it was probably the highlight of my trip. 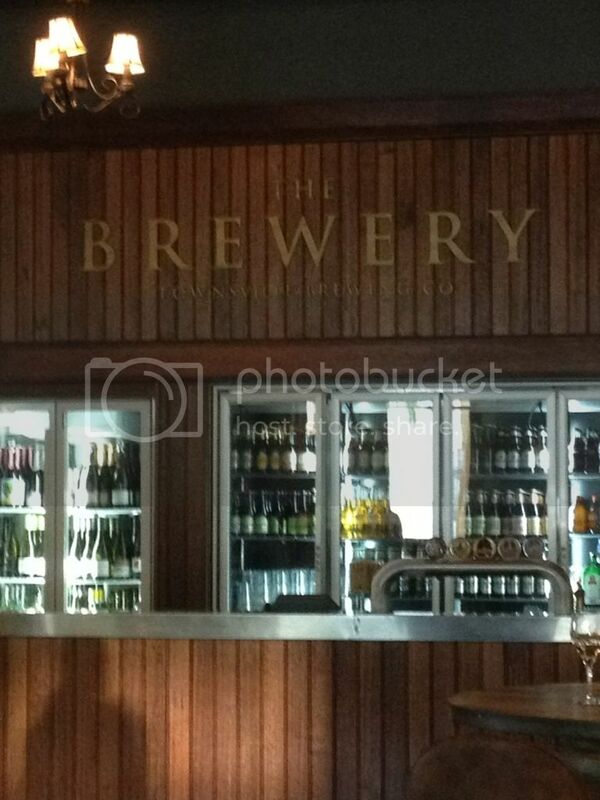 The Townsville Brewing Co. name was relaunch in 2001 and found new home in the Townsville Old Post Office building. The building is located right in the heart of the Townsville CBD and is one of the most iconic images of the city. The Townsville Brewing name was extremely popular in the late 1800's but ceased to produced beer in the early part of the 20th Century. After a busy afternoon interviewing applicants for our Townsville job vacancy I decided to head down to The Brewery and mull over the candidates over a few beers. The walk from my hotel only took about 10 minutes but in the humid Townsville conditions I was pretty hot and ready for a beer! Upon arrival I thought I'd get a schooner of something before settling in to have a methodical look at the range. A Digger's Golden Ale was chosen and drunk remarkably quickly while the bartender explained that The Brewery now produces 8 beers year round and conveniently has a tasting paddle and for just $12! The only natural thing to do was to purchase a tasting paddle and run through the range before settling on any beer for the long haul. Here is a quick run through of the beers from the notes I took on my phone. Townsville Bitter Light: There was some Saaz bitterness but not enough; A bit light on flavour even for a Light. Townsville Bitter Premium: The 5% ABV version of this beer had a lot more body and flavour, it was a much better beer. Bandito Loco: A Mexican style lager in the mold of Dos Equis. Absolutely perfect for the style with plenty of citrus hops. Belgian Blonde: Was probably the technically best beer. A perfect Witbier nose and taste, although it would have been hard to drink. Digger's Golden Ale: A malt dominated pale ale with just enough hops to balance it. Very tasty and sessionable! Ned's Red Irish Ale: Oddly smokey whilst still creamy. It's got a Kilkenny feel to it, but in a good way! It grew on me by the end. Flanagan's Dry Irish Stout: The roast was impressive and the nose was excellent. The beer itself was only average. Seasonal - White Stout: Unusually the White Stout has more stout characteristics than the regular stout. Huge hits of coffee! So for a round up of the Townsville Brewing Co. range: The beers were drinkable across the board without being exceptional. The Bandito Loco was the standout for me, with the drinkability of the Digger's Golden Ale getting it second place. The Ned's Red Irish Ale was the worst for me, just a really hard beer to drink lots of. After finishing my tasting paddle I had dinner, a huge chicken parma on a bed of chips which was absolutely delicious. Many more schooners, then happy hour pints followed and I stumbled back to my hotel. The beers may not have been exceptional but the overall experience was! 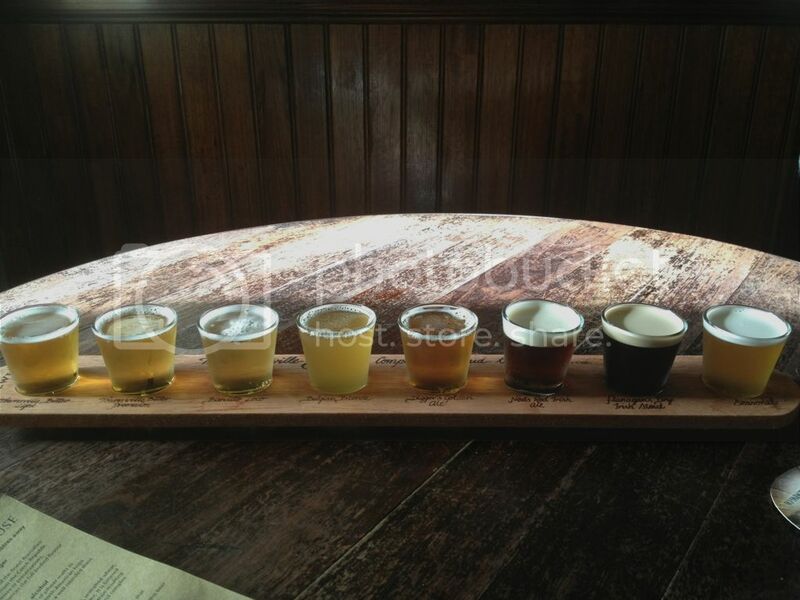 A trip to The Brewery is an absolute must if you are visiting Townsville.